I got caught by the owner when I took this photo. I asked her for the answer. 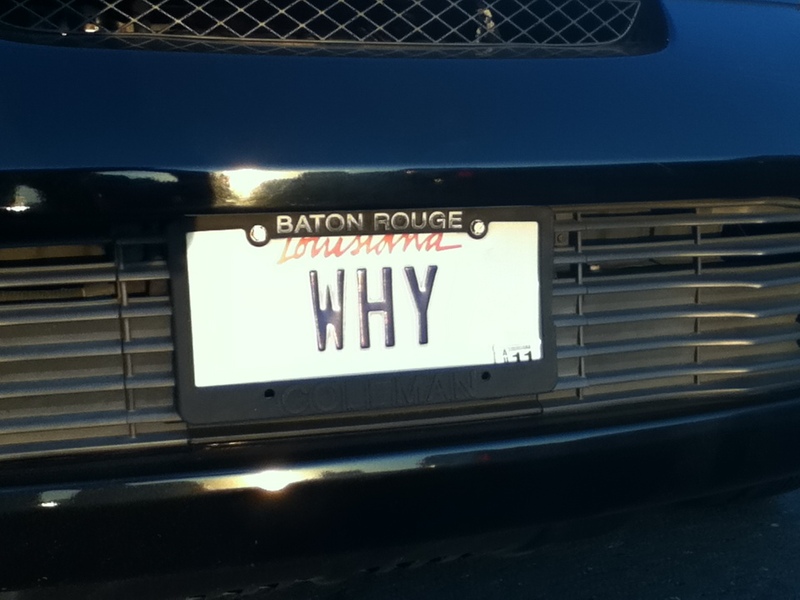 She said "Because." 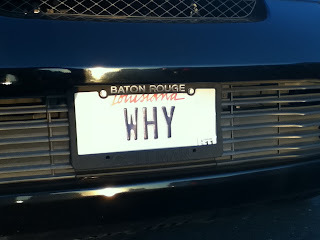 According to the Louisiana Department Of Public Saftey's personalized plate inquiry page, "BECAUSE" is already taken. Someone out there seen it? I want it for my collection!